Dean Harms is the newest addition to the IMEC team, bringing a strong background in business strategy, marketing and cross-functional improvements to northern Illinois organizations. As a Regional Manager with more than 30 years of experience working in OEM & MRO markets, Dean has a passion for engaging customers through diverse channels of communication in order to provide them with the best possible solution. 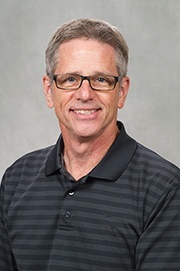 Dean's background includes work in industries ranging from high volume lighting, electronics, industrial controls, motor, generator and transformers to lower volume heavy equipment, marine, power generation, production line MRO wear parts and transportation. Based out of the Rockford office, Dean is focused on assisting northern Illinois organizations drive growth through enterprise excellence, engaging individuals and teams through relationship building, a keen focus on accountability, and achieving their ideal return on investment. If you are interested in learning more about Dean's skills in strategic business management and marketing, or other organizational improvement strategies, contact IMEC at info@imec.org or call 888-806-4632.